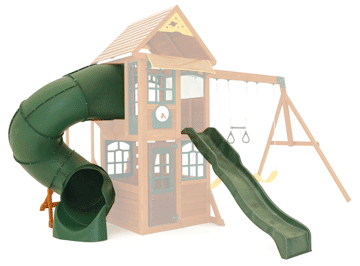 When one slide is not enough, why not purchase a play system with multiple slides, or even a combo playset with both a tube slide & straight slide. If you have multiple, or very active children then a combo play system could be just the thing! With two slides, your children will be able to race either other or their friends, or take turns on either the tube slide or straight slide. 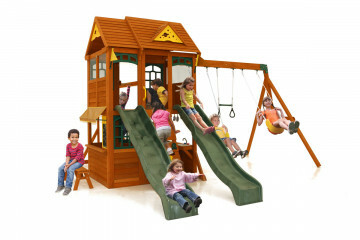 These play systems also include a selection of other features and activities, such as swings, cubby houses and monkey bars.